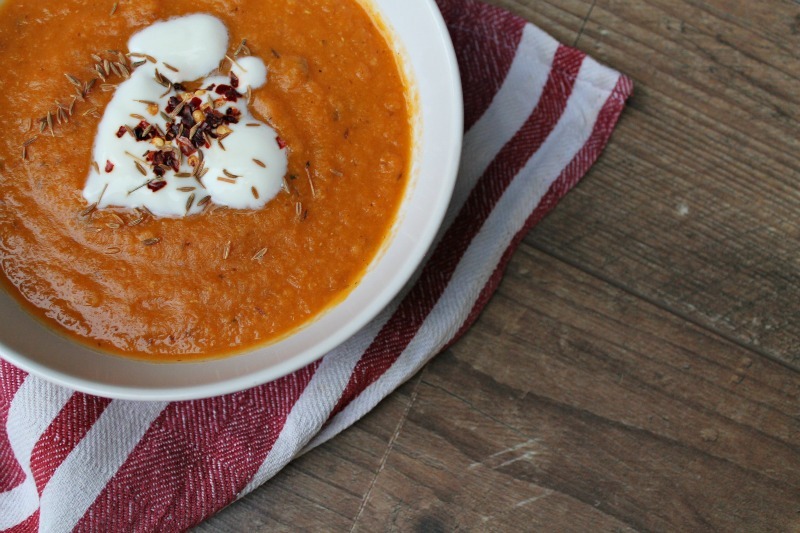 It's October, it's autumn... it's time for soup. Twenty-fifteen has been the year I learnt to love lentils. Check out the alliteration on that! My first lentil love came in the form of tarka dahl; an Indian takeaway just isn't complete without a good scoop of this on the side. Who am I kidding, I can just eat a whole bowl of dahl on it's own! I also love this Hugh Fearnley-Whittingstall chicken thigh and lentil recipe - a great mid-week one pot dinner which amps up the comfort factor. 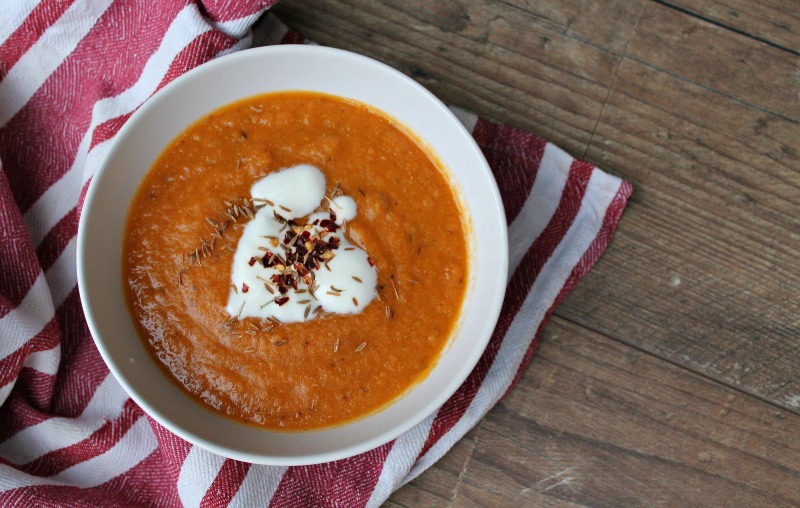 Spiced carrot and red lentil soup. So as the mercury drops and those summer salads fail to hit the spot, I'm turning to homemade soups for lunch. Do as I do and make a big batch on a Sunday which will set you up for the week. This recipe made 4 good portions. I used this BBC Good Food recipe which ticks all the boxes - easy to make, simple ingredients, a slight kick to it, low fat but filling. Perfection. Top with a drizzle of natural yogurt and serve with a naan bread. Olive oil, 2 tbsp - 12 syns. Skip it, it's not necessary to use olive oil in this recipe. Skimmed milk, 125ml - 2 (ish) syns, but divided over 4-5 portions this is minimal and of course can be included as part of your HEXA. Naan bread, mini - approx 7 syns. I am drooling over this! Defiantly a winter warmer I need to make ASAP!